Sadek Jalal Al Azm, a celebrated philosopher and scholar, died in exile in Berlin on December 11, aged 82. Arab intellectuals mourned the veteran Syrian professor, and so did the Syrian Opposition. State-run media in Damascus, however, remained hauntingly silent and so did pro-regime activists on Facebook and Twitter. Sadek Al Azm was born into one of Syria’s foremost political family, famed for its wealth and the caliber of its sons. His ancestors had been the 18th century governors of Ottoman Damascus while his grandfather and namesake had been a prominent Damascene general in the Ottoman Army. 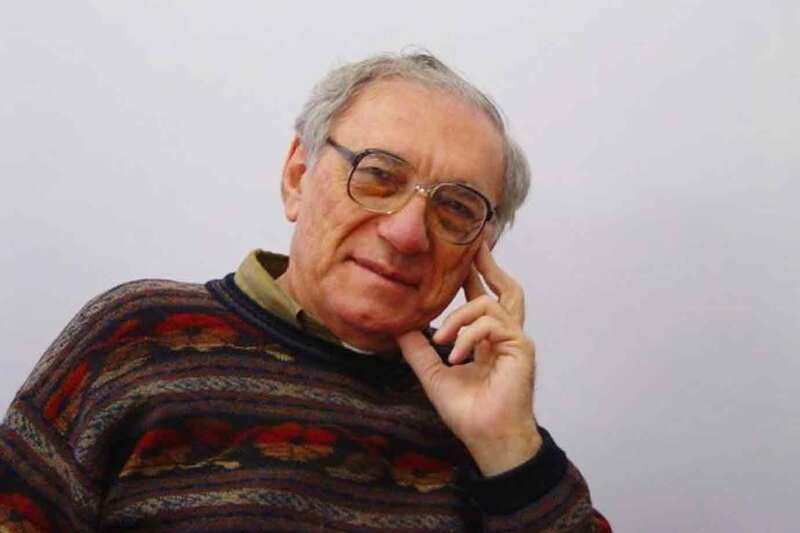 Al Azm studied philosophy at the American University of Beirut (AUB), earning an MP in 1959 and a PhD from Yale University in Modern European Philosophy. In 1961, he taught philosophy at Yale, and one year later, became an instructor at Hunter College in New York. During the academic year 1962-1963, Al Azm taught at Damascus University. In March 1963, a coup toppled Syria’s parliamentary democracy, bringing radical socialists in the Baath Party to power. They immediately established a grip over labor unions, schools, and universities, regulating the curriculum of professors, and the thought of students. Al Azm silently walked away, returning to AUB where he taught for the next four years. Meanwhile, he joined the neighboring Beirut College for Women (BCW), two prime institutions in pre-war Lebanon that produced some of the Middle East’s finest intellectuals. Between the years 1968-1969, Al Azm served as assistant professor of philosophy at the University of Jordan, and in 1968-1976, editor of the prestigious Arab Studies Review. He also worked as a senior researcher at the Palestinian Research Center in Beirut, which was destroyed, and had its documents confiscated after the 1982 Israeli invasion of the Lebanese capital. In December 1969, Al Azm made headlines in Lebanon when the Beirut government ordered his arrest, along with his publisher Bashir Al-Daouk, for publishing views that were considered blasphemous. Lebanon at the time was at the tip of civil war, and his book, Naqd al-Fikr al-Dini, (Critique of Religious Thought) was accused of provoking feuds among its different religious sects. He nevertheless fled to Syria, then returned to turn himself in, where he was jailed briefly in early January 1970. Student demonstrations broke out at AUB, protesting the injustice done to Professor Al Azm. The charges were dropped, however, thanks to, among other things, Al Azm’s innocence and the backing of then-Interior Minister Kamal Jumblatt. Subsequent editions of the book, including documents from the tribunal, continued to be published in Arabic until this day, although with restricted access throughout the Middle East. Westerners also developed a keen interest, making Al Azm an international name. One of the leading works covering the controversy was a 1971 article in the German journal, Der Islam by Stefan Wild titled, God and Man in Lebanon: The Sadeq Al Azm Affair. Sadek Al Azm was also a critic of Edward Said’s classic, Orientalism, and in 1988, an active participant in the dialogue surrounding free speech, after Salman Rushdie published his controversial work, The Satanic Verses. Although the book had been banned throughout the Muslim world, with a fatwa for the killing of Rushdi by Ayatollah Khomeini of Iran, Al Azm came out in vigorous defense of the author, making many enemies - and an army of silent and not-so-silent secular fans. Al Azm eventually returned to Syria, as a professor of Modern European Philosophy at Damascus University, during the years 1977-1999. In 2004, he won the prestigious Erasmus Prize, and one year later, became a Dr. Honoris Causa at Hamburg University. Al Azm then joined the Department of Near East Studies at Princeton University, where he taught until 2007. He was an active participant in the Damascus Spring in 2000-2001, writing and lecturing about political pluralism and democracy. He demanded an end to Baath Party hegemony over Syrian political life and joined the uprising against the Baath regime eversince it broke out in March 1963, taking up residency in Germany where he died on December 11, 2016.